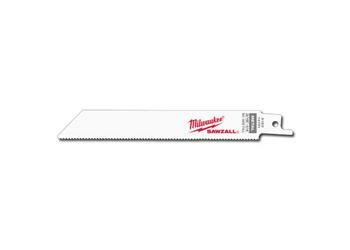 Milwaukee® designs and manufactures Sawzall® blades for the toughest professional applications. Material, blade geometry and heat treating are designed to maximize metal cutting performance. Double relief angle reduces tooth stress for long life.